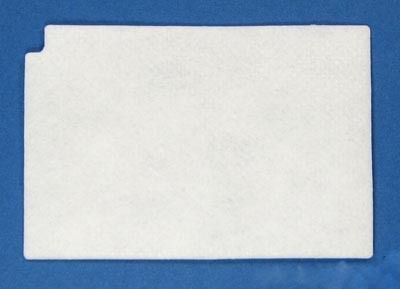 Replacement white ultra-fine filters that are used by the older-style Respironics Aria, Duet and Virtuoso CPAP machines. These are exact replacements for Respironics part number 532311. These measure 3 9/16 X 2 5/16 inches. Six filters per pack.